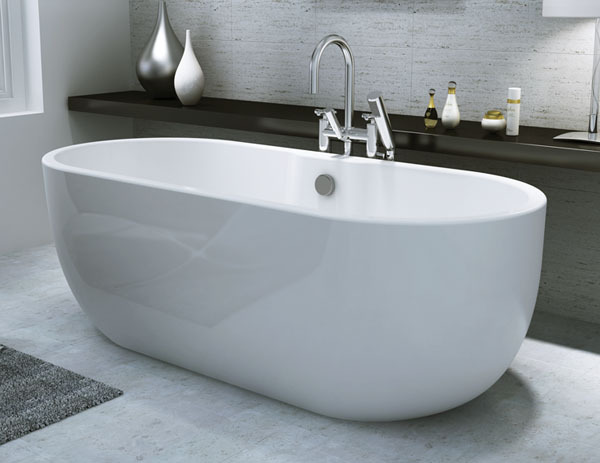 San Marlo Modern Freestanding Bath - Only £549.99! Now for just £549.99 including VAT! 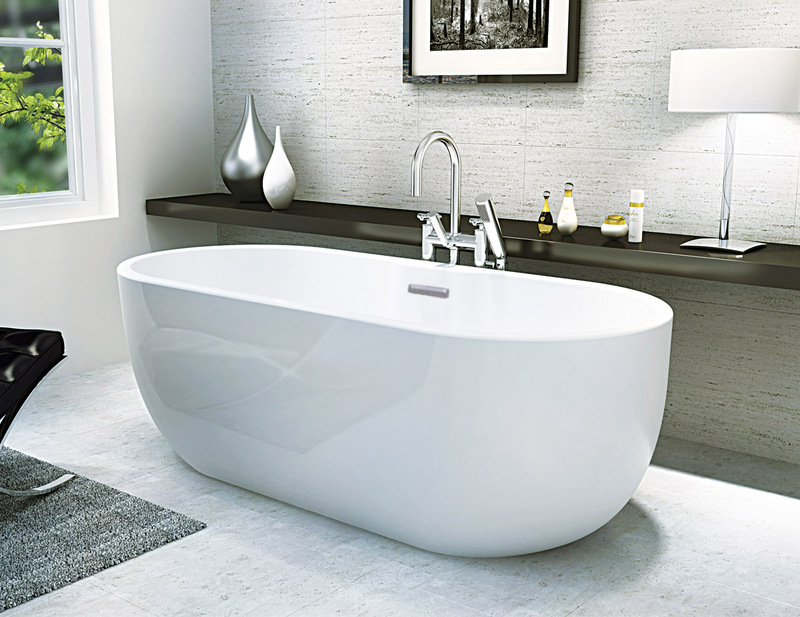 The San Marlo Modern Freestanding Bath is the very cutting edge in modern design. 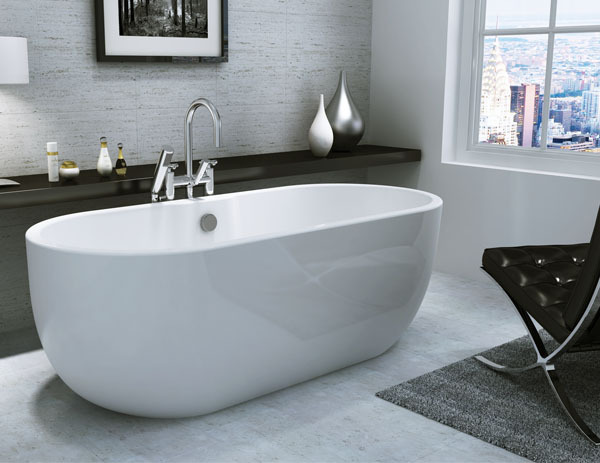 Boasting sleek, swooping lines and gorgeous curves, this stunning bath is the ideal centre-piece for any bathroom and will be the envy of all who see it. Utilising cutting-edge design and built to the very highest standards, the San Marlo offers superior bathing room, durability, heat retention and comfort, making this the ideal place for a relaxing, well-deserved soak. This highly desirable bath features a specially designed shape to match your posture and shape, allowing you the most luxurious and rewarding soak possible - this makes the San Marlo a particularly popular item with glowing feedback from our customers. 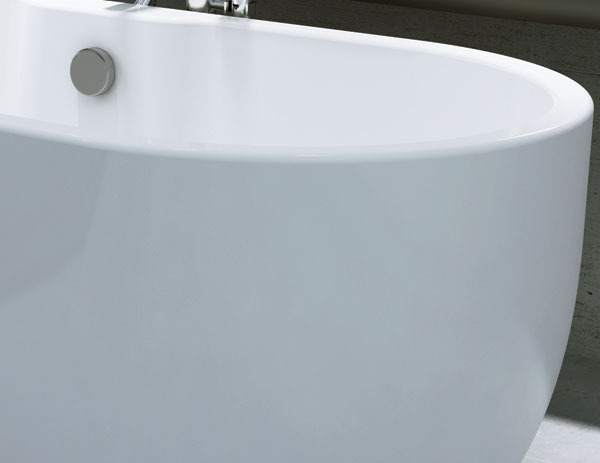 Unlike the other baths offered by our competitors, the VIP range of modern freestanding baths have no unsightly seam across their surface - this vastly improves the appearance of the bath, and sets our baths apart from the rest. Thanks to their uniquely high quality manufacture, we can promise a completely smooth and flawless surface covering the entire bath, adding further to the already stunning looks these baths possess. Review: Great communication, good customer care! Thank you! 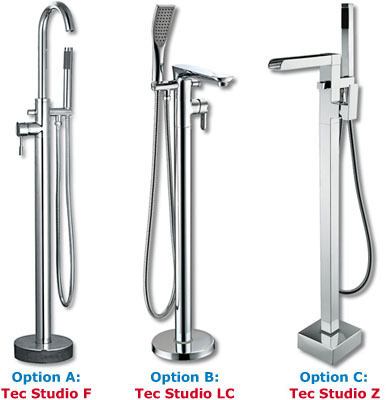 Review: Thanks again for your help with our San Marlo bath order. We are really pleased with it and it looks good in our new bathroom. Review: Last night we tried out our new San Marlo freestanding bath for the first time - brilliant! Thanks again for your recommendation!